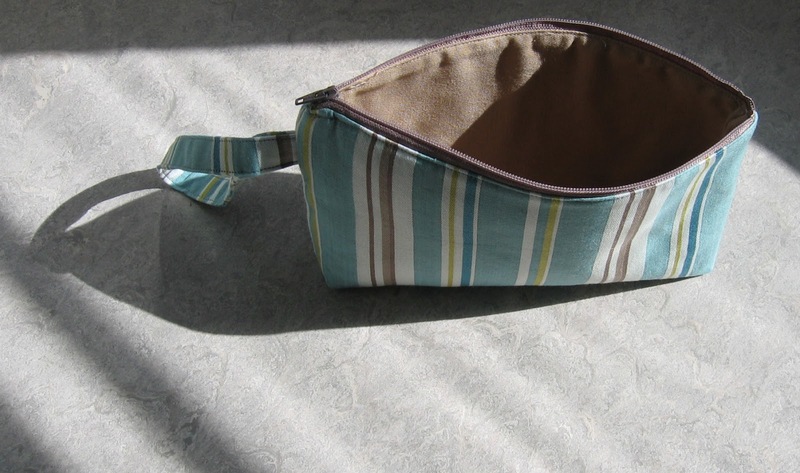 This weekend I finished a wristlet purse. I used this tutorial from craftster as a starting point. I really wanted to use just a single retangle of the outer fabric and a single rectangle of the inner fabric, rather than 4 rectangles as was shown in the tutorial. 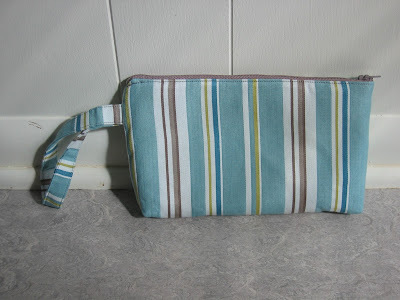 Although I have never tried it, lining up stripes on 2 pieces of fabric looks tricky and it's something I want to avoid. I also lined it with some fusible fleece interfacing to help it keep it's shape. I kind of botched the topstitching around the zipper, that part really should've been done differently. If I was to do this again, I would use one large rectangles of outer fabric and 2 small rectangles of inner fabric. This would allow me to topstitch along the zipper before I sewed the side seams. But other than that I'm very happy with how it turned out. 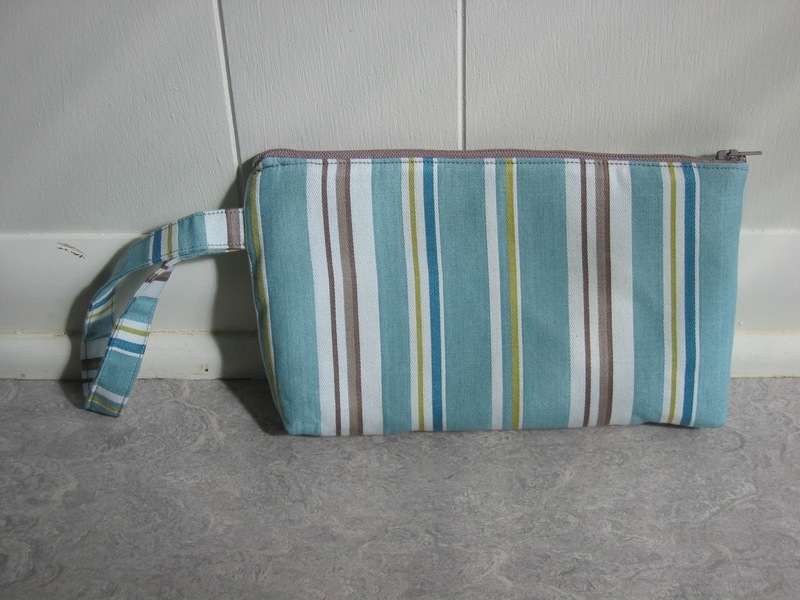 The finished size is about 9 inches by 5 inches with a 10 inch strap.